Let’s face it, moving is a pain. Being really organized will help it be less of a pain. 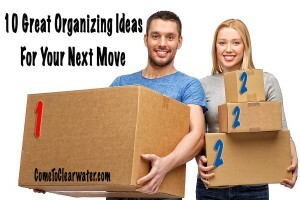 Here are some great organizing tips to make your next move less of a pain and more of a breeze! 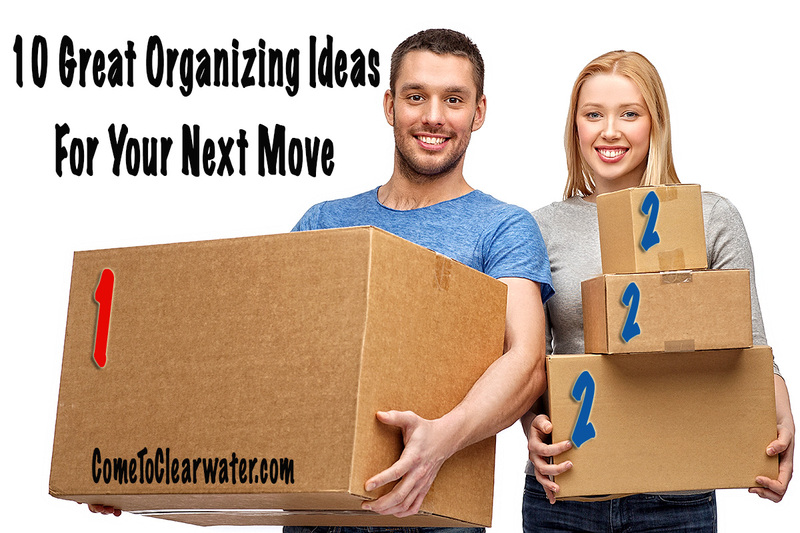 The best thing you can do to start your organizing is to declutter. So here is a quick way to figure out what gets packed: Pick up each thing and think about whether it’s worth the effort to pack, carry and unpack it in your new space. No? Then decide if it’s in good enough shape that someone else might want it. Yes? Then donate it. No? Throw it out. Now is also a good time to clean up electronic clutter too. Since you’ll be moving things like computers and printers, be sure to back up what’s on the computers either on an external hard drive or by using an online data storage service. Heaven forbid something happens to your electronics, your data is safe. Also label or color code each cord as you pack them up. That way setup is easy once you get there. For computers or printers with multiple cords, use colored dot stickers to label each cord and the hole it plugs into on the back of the device. Make sure important papers are kept in a fireproof lock box. Things like birth certificates, passports, deeds, financial documents and the like. Also keep a binder with important information about the move: moving company or truck rental contracts, master packing list, pet vaccination, flight information if you are flying to your new home and change over information for the utilities for each property. Keep the binder and lock box with you. Next, as you pack each room, try using a color coding system. Assign each room a color, and then number each box as you pack it. Then keep a list of which room has what color and what is in each box. Make a box of toiletries, jammies, etc. Make an easy to find box or stash of things like toilet paper, pajamas and coffee for the morning. Maybe add travel sizes of shampoo and other bathroom things you will need so you don’t have to unpack everything to find it. Other things you might need could be one set of dishes or some plastic throw aways, a teakettle and small jar of instant coffee or tea bags, a small tool set with screwdrivers and a hammer, trash bags, a box cutter, light bulbs, paper towels, a few bath towels, a set of sheets per bed, and some snacks. The Deb Ward Team at Burwell Real Estate specializes in Clearwater, Largo, Seminole, Clearwater Beach, Sand Key, Belleair, Dunedin, St. Petersburg, and St. Pete Beach Florida real estate, serving buyers and sellers with a focus that is rarely found in the real estate world!